Launching a new book, artist Marisa J. Futernick will be in conversation with curator Emma Enderby (Public Art Fund and Rice + Toye). 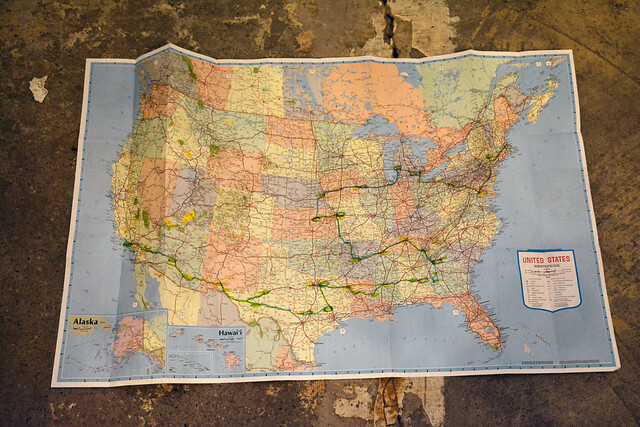 In 2014, Marisa J. Futernick drove nearly ten thousand miles across America, visiting all thirteen of the country's Presidential libraries along the way. 13 Presidents is the result: an artist's book that combines photographs from the journey with a suite of short stories. Mixing fact and fiction, each President from Herbert Hoover to George W. Bush is a protagonist in this collection of unexpected portraits. Marisa J. Futernick is an artist and writer based in London. She was born in Detroit, Michigan and raised in Hartford, Connecticut. Futernick has published several books, including How I Taught Umberto Eco to Love the Bomb (RA Editions and California Fever Press, 2015) and The Watergate Complex (Rice + Toye, 2015). She has exhibited widely, at venues including the Whitechapel Gallery, London; Royal Academy of Arts, London; Jerwood Space, London; Arnolfini, Bristol, England; and Yale University.